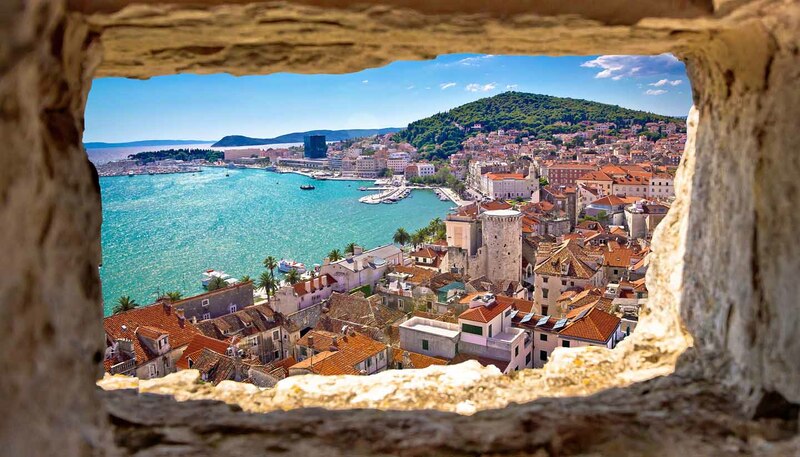 Overlooking the Adriatic Sea and backed by the rugged Dinaric Mountains, the splendid Dalmatian city of Split is a living, breathing museum. Built upon a 1,700-year-old palace, Ancient Roman architecture forms a backdrop to modern-day life here, with fashionable boutiques and quaint cafés interspersed with the ruins of the imperial fortress. The former holiday home of the Roman Emperor Diocletian remains popular with modern day tourists too – thanks in no small part to his architectural efforts almost 2000 years ago. At the heart of the old city lies the ancient and roughly square fortifications of Diocletian's Palace, along with several museum housing the artefacts discovered inside. But there’s more to Split than Roman ruins and in the Riva, the city has its very own glitzy harbour promenade. Home to festivals, celebrations and political rallies by day, it becomes increasingly glamorous as darkness falls and is a good spot for a sundowner ahead of dinner at one of the city’s many excellent seafood supper joints. Not that the party ends there. Nightlife is a big deal for locals and tourists alike, and clubs remain packed until the early hours no matter what day of the week. Most do their recovering the next day on the beach – usually at Bacvice where you can watch locals playing picigin, a Dalmatian sport similar to volleyball where a small rubber ball is bounced between players in the sea’s shallows. When you want to escape the city, climb to the summit of Marjan Hill, which soars 180m (590ft) above the Adriatic, with lovely views out to the islands. Split is the gateway to most of these central Dalmatian Islands, including Brač, Hvar and Šolta, as well as the more distant Vis, Korčula and Lastovo. It is also becoming a major cruise ship destination, although if you avoid the old town by day, you would never know it.